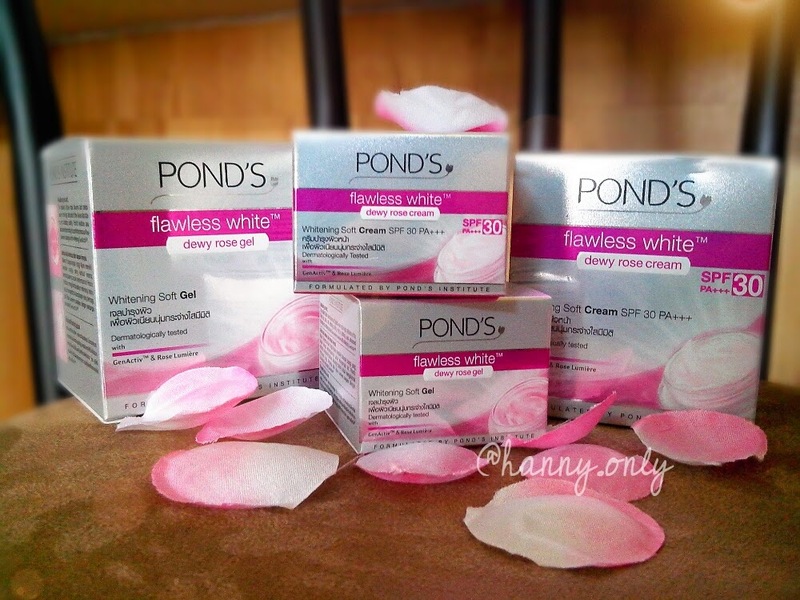 So few weeks ago, Pond's kindly invited me to their latest product launch, the Pond's Flawless White Dewy Rose. It was so exclusive, that we couldn't mention the product on our social media platform until certain time. Wow! So proud to be one to tried out the products before it even launched yet. We did a blindfold test to experience our very first impression about the product's consistency and scent. The event was fun, filled with games and all. Such an unforgettable evening. And now i'm about to open this cute pink box that we brought home from the event. Ta daa!! 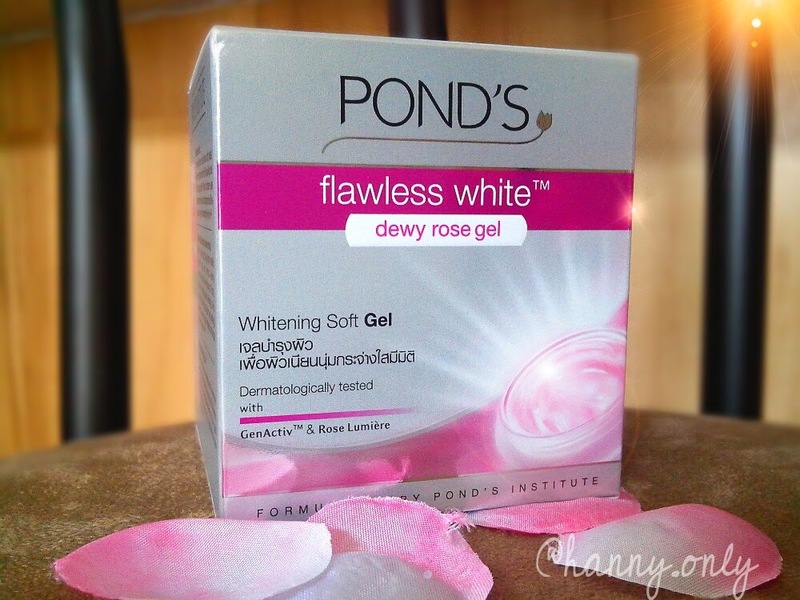 Introducing the new Pond's Flawless White Dewy Rose. Pond's understands the needs of modern woman whose multitasking, super busy and dynamics. We need skin care that works fast, practical and most of all, absorbed easily. The newest Flawless White range answers that. The gel consistency could never go wrong in any weather, the cream one also not sticky at all and has SPF 30. Protect your skin from sun damage is important, ladies (And gents). 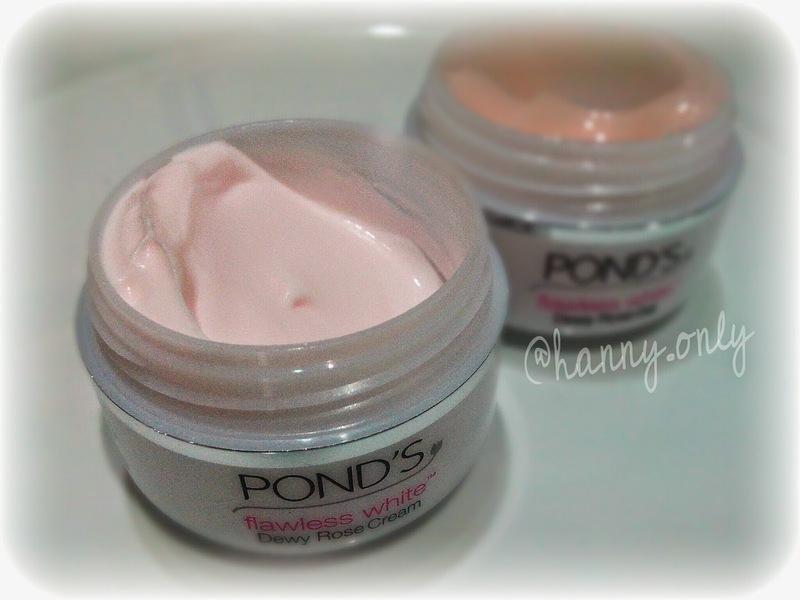 Pond's Flawless White Dewy Rose Gel & Cream could soften your skin and make it shine and bright on the outside. It's proven to also soften dark spots appearance start from 7 days of usage. How intriguing! This extracted from rose flower that grew on alpines. That area known to have an acidic soil with a very minimum nutrition. 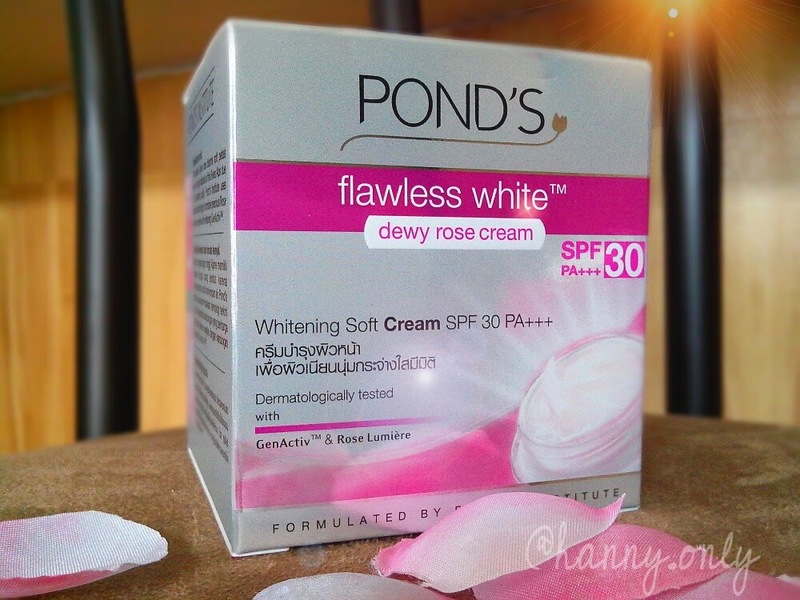 The fact that this flower could survived on that harsh situation made Pond's created such formulation for our skin to keep it moisturized throughout the day. It's a combination between vitamin B3, E and also allantoin and optic. 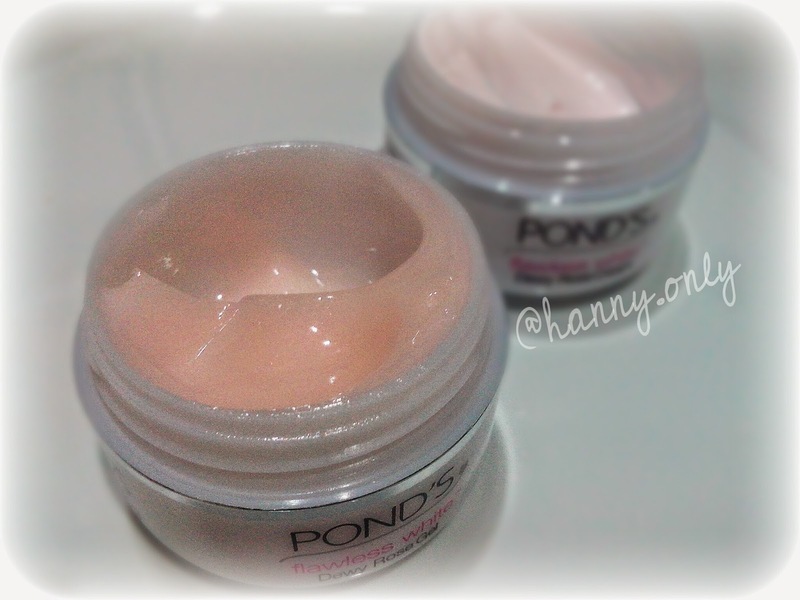 Pond's technology created them to be able to absorbed deep into our skin (epidermis). It also helps neutralize free-radical from pollutions that could darken our skin's as well, make it dull. Now let's try, shall we! It's light and give a slight cooling effect. I love this one the most. Suitable for all skin types, but for those with oily skin, this would felt lovely, just a great brightening gel (gel pencerah wajah). But too bad it has no SPF on them. Also absorbed nicely. Love the fact that this has SPF 30 on it and brighten my face instantly, no more dull face for me. Very suitable for day usage and perfect for makeup base. Truthfully, i love their new consistency. Either the gel or the cream one. They absorbed nicely and feel light. It was love at first touch (jatuh cinta pada sentuhan pertama) for me. And it smells amazing, so soft and rosey. You should try it to understand what i'm saying. It calms you instantly. Just yummy. 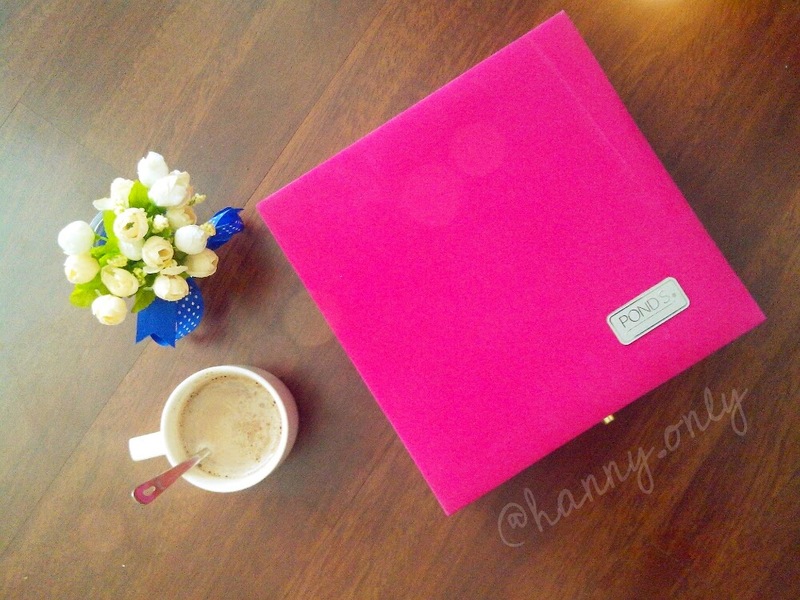 Wahhh di acara itu smua serba pink mbakk.. pink overdose .. uber cute!!! ^_^ serasa di wedding party..